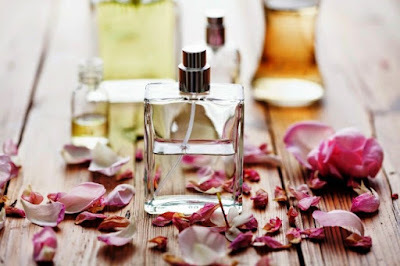 Go for floral, citrus or aquatic #fragrances in summer, suggest experts. Rohit Kumar Agrawal, Founder of Perfumebooth.com, and Shikhee Agrawal, Head Training, The Body Shop, list the fragrances to opt for in summer. * Citrus: Citrus fragrances exude a refreshing feeling with lemon, orange, mandarin, grapefruit, bitter orange, lemon grass and mint notes. Just one spritz of these refreshing fragrances and one can instantly experience the lively summer spirit. * Aquatic: Anything related to aquatic signifies the goodness of water. It comprises of the aroma out of a unique mixture of fresh, clean, translucent and airy scent. This classification generally refers to a traditional fresh or floral composition that is enhanced by aquatic notes during the evaporation process. * Spicy: It's sometimes harder to pull off a spicy comfort scent in summer. Many of them are just too strong and over the top kind of overwhelming to wear when it's hot and humid. The perfume having the wicked aroma of crushed spices can be the ultimate fragrance to rescue you from summer glitches. * Floral: Floral fragrances are a popular option when it comes to choosing. Whether you prefer soft floral fragrances or fruitier varieties, there are just so to go when it comes to choosing a floral scent. * Fruity: Fruity perfumes are ideal for summer, for a variety of reasons. They tend to be a bit lighter than floral fragrances, so you won't feel all hot and sticky, nor will they be overpowering on those hot, humid nights. * Aromatic: Aromatic notes are a breathtaking mixture of rosemary, lavender, sage, cumin and other plants which hold a very intensive grass-spicy fragrance. They are usually packed with citrusy and spicy notes. Aromatic compositions are ideal for summers. * Woody: This is a light and wearable woody scent. A rich and woody, yet light and citrusy scent can be the best bet.